I have in this web iste some pictures of my A1200. i take this photos for harrison use in main site. the website is in Portuguese but you will easily find the photos. It has also some really basic info about the Amigas, i hope that in future i can redirect some traffic from Portugal and Brazil, but it will take time, this is just a text info site. I have also photos of my Marklin Rail Sytem, that i am starting to build. 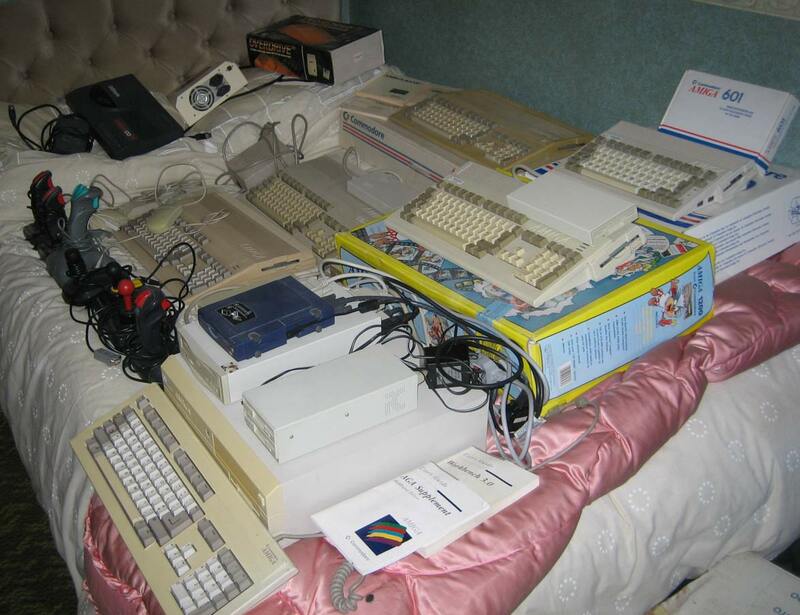 OK, as promised here finally are some pictures of my Amiga collection (most of it). I was tidying up today so had to pull out a lot of my boxed Amiga's so thought I would arrange them quickly and take some pictures. A couple of shots of them all together. 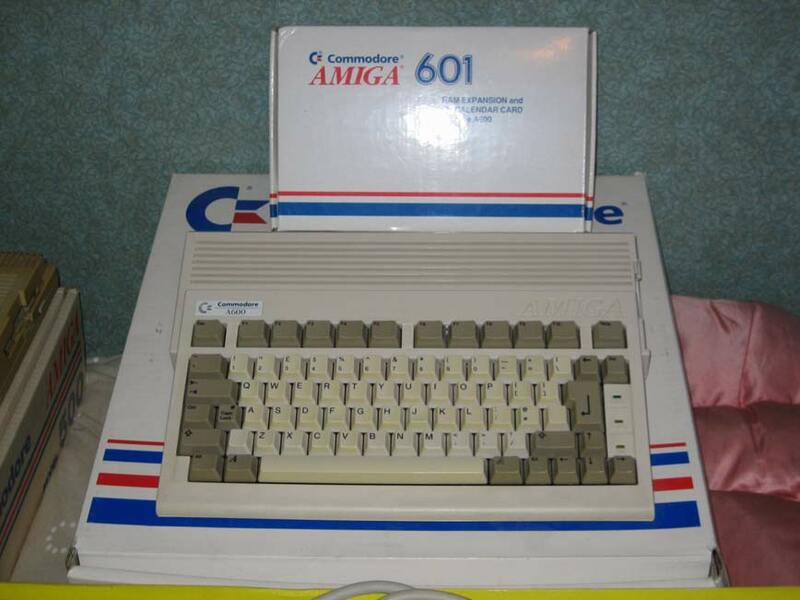 This is one of the early Amiga A500's with a Kickstart 1.2 rom and made in Germany. Notice the large full sized Return key and the C= key instead of the left Amiga key. This one is still in very good condition with very little yellowing and still has the original box with inserts, manuals and disks. It also has a 512K trap door expansion. 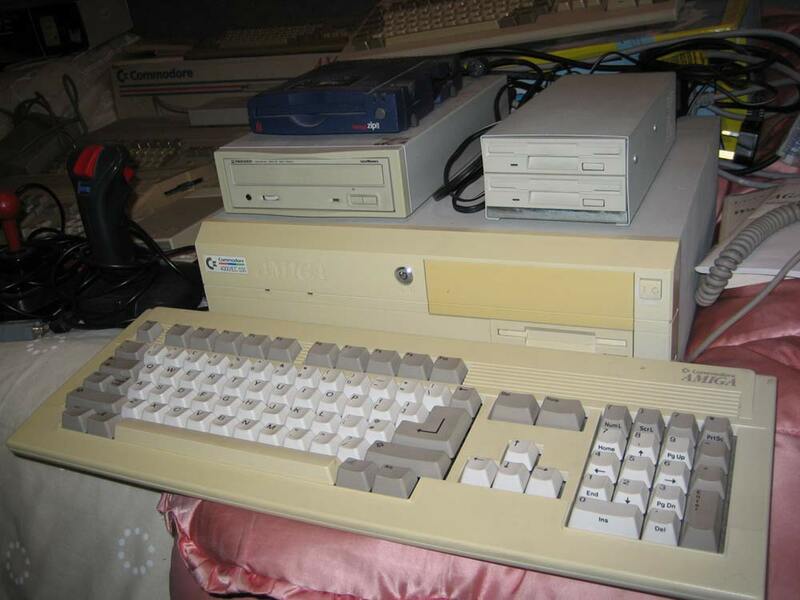 This is an A500 with Kickstart 1.3 and a 512K trap door ram expansion. It's quite yellow as you can see, but works perfectly. The box it is sitting on is actually for the other KS1.2 A500 pictured above. 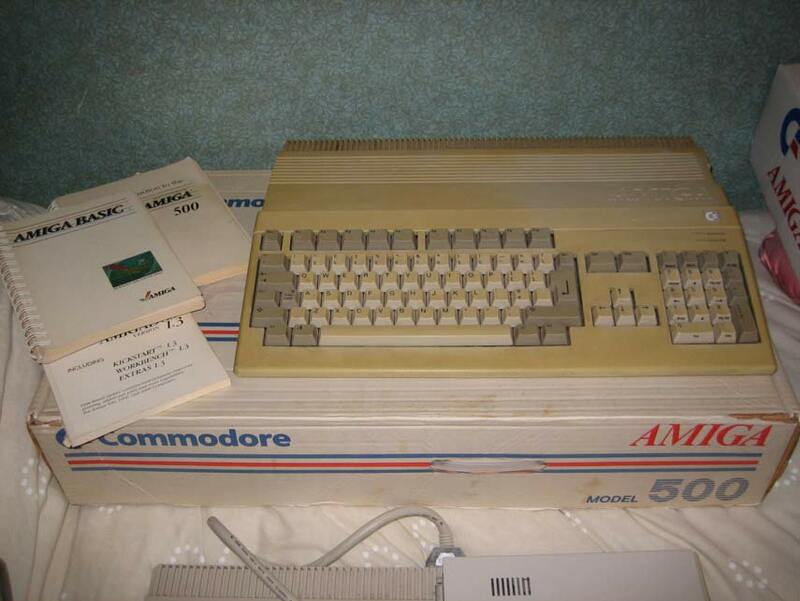 Here is my little A600, complete with box, inserts and all manuals and disks, plus it also has am A601 1MB chip ram trap door expansion fitted. With the ram expansion's original box also seen here in perfect condition. Here is one of my 2 A1200's seen here sitting on it's original box, which includes all the inserts, manuals and original disks. The Floppy Disk Drive sitting on the A1200 is a Power Computing 1.76MB XL Floppy Drive. This A1200 has a 1.3GB 3.5" Internal HD and a 4MB trap door ram expansion. The other A1200 isn't pictured here as it's currently in bits as I'm fitting a 10GB 2.5" HD to it, and it also has a Blizzard 68030 accelerator and 32MB of ram. Here is my A4000. It hasn't discoloured much at all except for the 5.25" drive bay cover which has gone quite yellow. You can see the external drives connected to the A4000 sitting on top of it. These are a Power Computing Dual Floppy Drive unit, a SCSI Pioneer external 4x CD-Rom drive, and a SCSI Zip drive, both connected via a GVP Zorro SCSI card. The A4000 also has the full 16MB Fast ram installed and a 1.3GB HD. Another view of the A4000 plus drives. 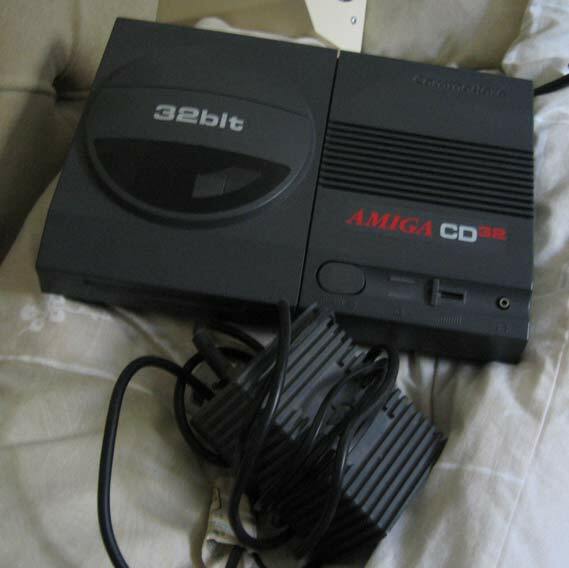 My CD32. The box is in the loft, but is in perfect condition. 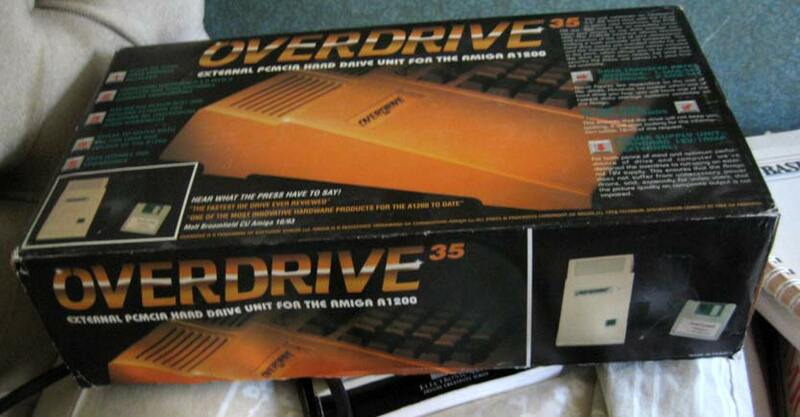 Here is an external 340MB Arcos Overdrive Harddrive. I originally bought this just after my first A1200 and used it as the main HD. I then upgraded the A1200 with an internal 1.3GB HD and then used this external drive with my A600, which it is still used for now. Another shot of them all together. 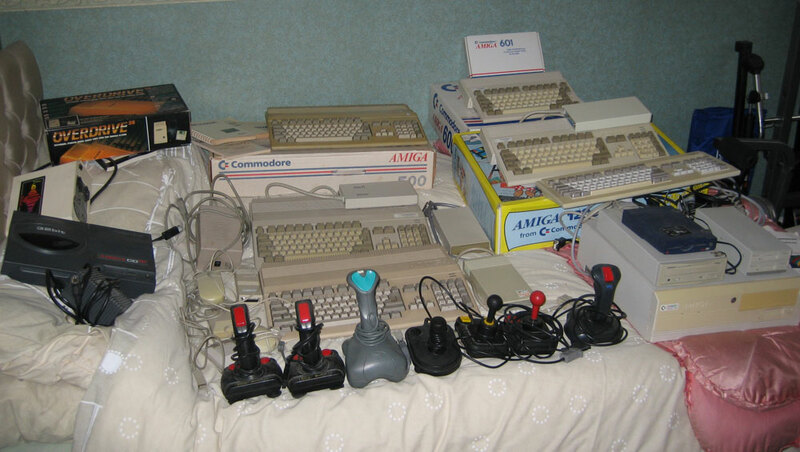 You can also see a selection of the Amiga joysticks I have, plus some more external floppy disk drives and mice. Obviously none of my Amigas are setup. I just connect them up when I use them, and then pack them away after. I wish I had the space to have them all setup. There was once a time when I did have the lot all setup and running on a huge long purpose built split level desk, but I don't have the space to do that any longer. I haven't included everything from my collection in these images, just the main Amigas. I will try and do some images of my software collection and monitors later. Do you have room for all those Amigas?! Quite yellow?! 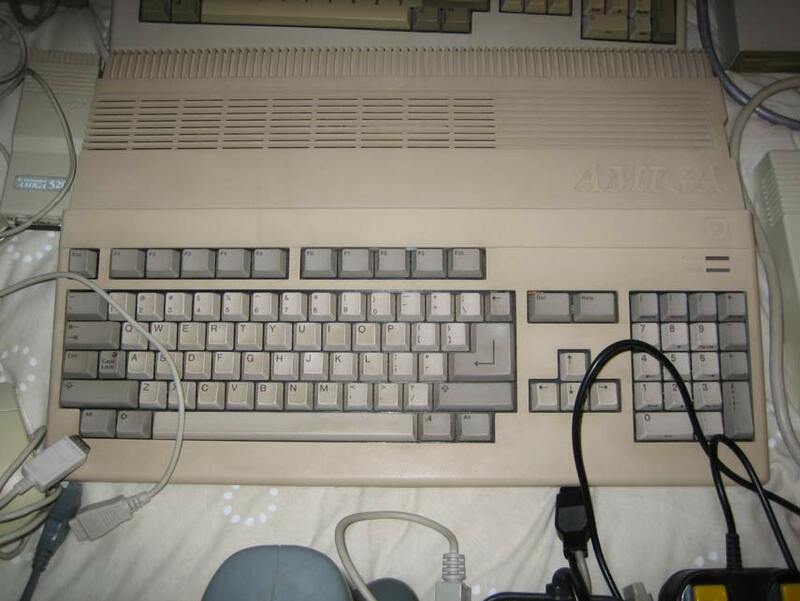 That's quite possibly the most discoloured Amiga I ever saw! Have you tried cleaning it, or do you prefer to keep it like that as a sort of trophy? This was how it arrived from ebay! 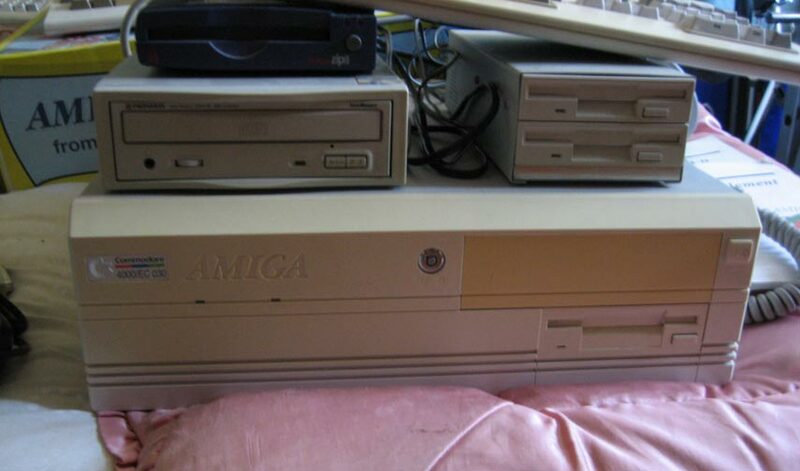 That is my £1.66 Amiga! If you look at the top right area of the case around the big AMIGA logo you can see the case isn't discoloured at all, and that area is roughly the shape of a floppy drive, so I assume the original owner has one resting on there. I had tried cleaning the case, and you might be shocked to learn that it was actually a lot more discoloured and dirty compared to now, when I first received it. It took me a couple of hours with some kitchen cleaner to get all the grim off of it, so now it is just the case being very yellow. I may try Stu's painting method to make it look nicer. But as I mentioned it does work perfectly well. Usually the keyboard is more yellow then the rest, but in your case is the opposite ! 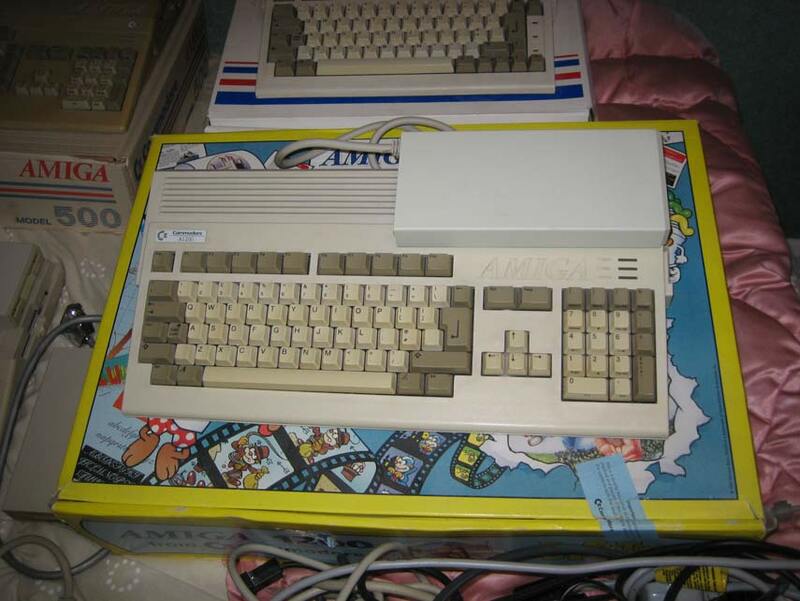 With the older A500's the plastic was different and the cases tended to discolour quite badly over time, whereas the A600 and A1200 use different plastic so the cases don't tend to discolour much, but the keys do. 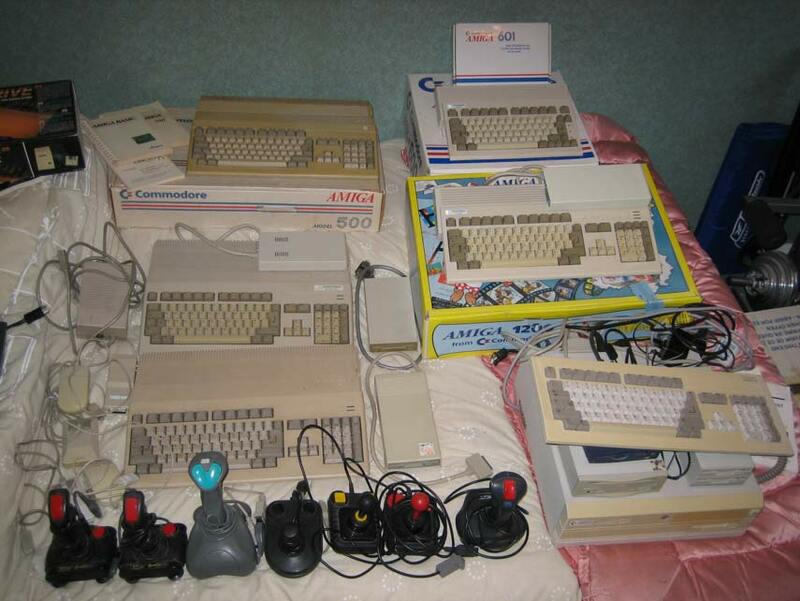 Strange how some Amiga's are badly effected by discolouration, whereas others aren't.